WOODexpress. Structural Timber design software. A program for design and dimensioning of timber components, and timber roofs according to Eurocode 5 (EC5). In a graphic environment you design roof trusses and elements of timber structures. 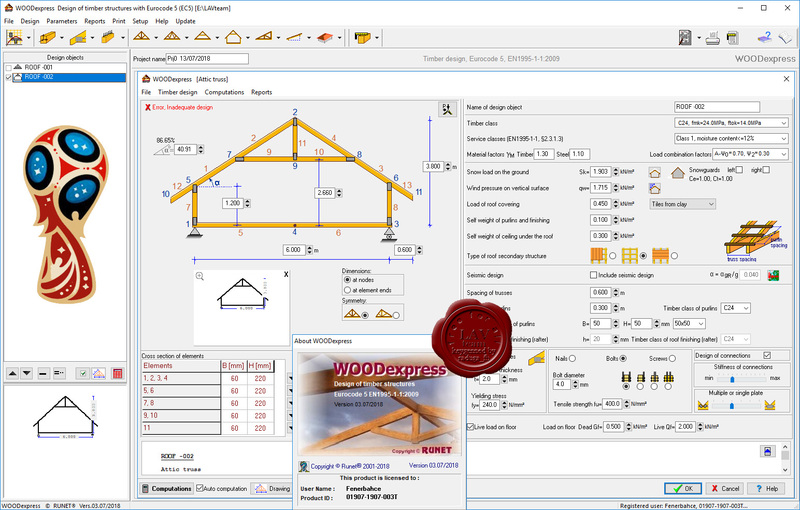 WOODexpress simplifies all the repetitive and time-consuming every day calculations for timber elements and timber roofs. Detailed report with calculations, automatic generation of truss drawings and details of connections. The material properties, the loads and the design code parameters, timber sections, can be adjusted by the user according to the requirements of the National application document. A context-sensitive Help system, guides you through the use of the program and the Eurocode provisions. On-line user's manual and frequently asked questions (F.A.Q.) are included in the program.